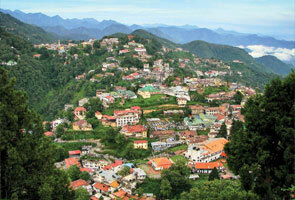 Sited at the merging point of Alakhnanda and Bhgirathi River, Devprayag offers gaping beauty. Positioned at a height of 830mts above the sea level, Devprayag ensures scintillating views of Mother Nature. Literal meaning of Devprayag is “Godly Confluence” as “Dev” means “God” and “Prayag” means “Confluence”. Devprayag is located in the Tehri Garhwal district and but majority of its portion falls under the Pauri Garhwal District. 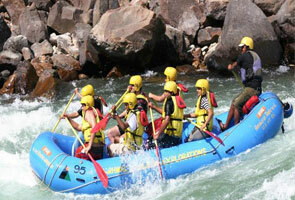 Devprayag is the last confluence of Alakhnanda River and Bhagirathi River which is famous as Ganga. The confluence of Alakhnanda River and Bhagirathi River has Vashisht Kund and the Bhahma Kund on the either sides respectively. 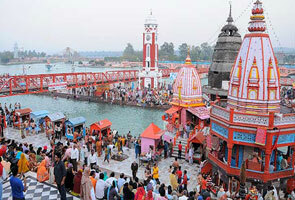 Devprayag town is located the highway of Rishikesh and Badrinath Highway which is only 71kms ahead of Rishikesh. Devprayag is highly sacred place for Hindu pilgrims as it offers divine natural beauty and is believed that Lord Rama and King Dushratha did their Penance here. Beside there is also a pristine RaghunathJi Temple constructed over 1000 years ago at the confluence. 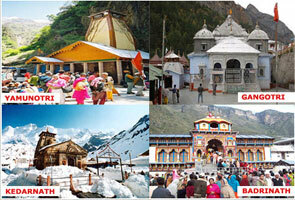 The temple is built from the massive rocks and is largely worshipped by the locals and the tourists. Earlier Devprayag was an amazing town but was devastated by an Earthquake in the year 1803 that was later restored by the people here. The place also has water spring which is famous as Baitalshila and is claimed that a dip here is good for curing leprosy. Devprayag can be visited anytime of the year but travels in monsoon should be avoided as chances of landslides are acute.